One of the biggest advantages to growing with LEDs as compared to growing with High-Intensity Discharge (HID) bulbs such as High-Pressure Sodium (HPS) and Metal Halide (MH) bulbs is the fact that LEDs consume a fraction of the electricity, as much as 60% less. Another advantage of LEDs is their low heat signature. LED grow lights give off much less heat than a high-intensity discharge bulb such as high-pressure sodium (HPS) or metal halide (MH). Less energy consumption and less heat go hand in hand, as the majority of the wasted electricity in HID systems is given off as heat. If you have ever grown with HID systems you have experienced the problem of excess heat which must be mitigated by venting and air conditioning systems. LED Grow Lights eliminate this problem completely. After being on for 24 hours, the LED grow light is only slightly warm and cool enough to touch. LED Grow lights are made up of individual diodes that are focused to specific wavelengths of the light spectrum necessary for plant photosynthesis. A light bulb gives off white light which encompasses all the colors of the visible light spectrum. 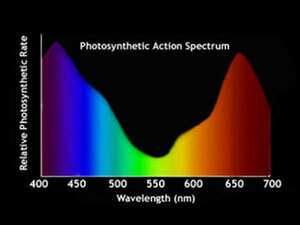 Plant photosynthesis requires only specific wavelengths of light and all the extra wavelengths that are in white light are wasted. LED grow light diodes have a blend of only the wavelengths that are needed in the correct ratios necessary for photosynthesis. These wavelengths are mainly the reds, oranges, and blues in the 580-630nm and 420-470nm ranges. 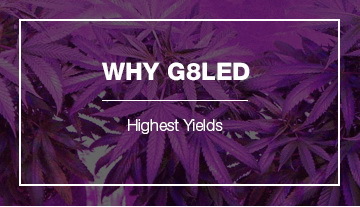 G8LED grow lights have gone through several iterations to formulate the optimal blend of diode ratio best suited for indoor growing based on the photosynthetic action radiation necessary for plant growth. Growing with LED grow lights is the way to Grow Green! It is the most efficient method of providing a light source necessary for plant photosynthesis. 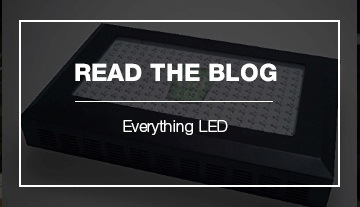 With all the benefits that come with LEDs, it is no wonder why more and more growers are adding LED grow lights to their grow rooms. Growing with LEDs is more economical than growing with bulbs. With LEDs, there is no need for a ballast as you can plug the growlight directly into the wall outlet. Furthermore, there is less need for venting and air conditioning systems. Because LEDs last up to 100 times longer than bulbs, there is no need to replace a bulb ever. To protect your LED grow light, connect it to a power stabilizer. The power stabilizer will regulate the voltage coming from your power box and eliminate various power fluctuations which can damage devices. If too many high wattage devices are connected to the same circuit there can be voltage fluctuations which damage power drivers inside which power the diodes. This is especially true for growers who use solar energy to power their grow rooms since these systems tend to have power spikes and surges. A power stabilizer is an inexpensive way to protect your grow lights to ensure there is no downtime during critical stages of growth. LED grow lights will give you tremendous electrical savings and will reduce operational costs, providing savings month after month. 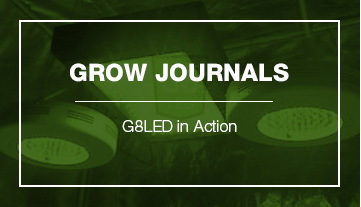 Upgrade your grow room and Grow Green with G8LED technology!